The AVL Tracker is an electronic device which is more or less complex depending on the application and needs. It includes a GSM/GPRS modem, a GPS chipset, a microprocessor, a memory block as well as inputs and outputs for receiving information from external devices or controlling accessories. Discreetly installed inside the vehicle, the device is in permanent communication with our backend servers thanks to the pre-installed cellular network SIM card (for which the subscription charges are taken care of by GloboConnect). AVL cases transmits data collected from vehicles to our backend servers via the GPRS network operators. 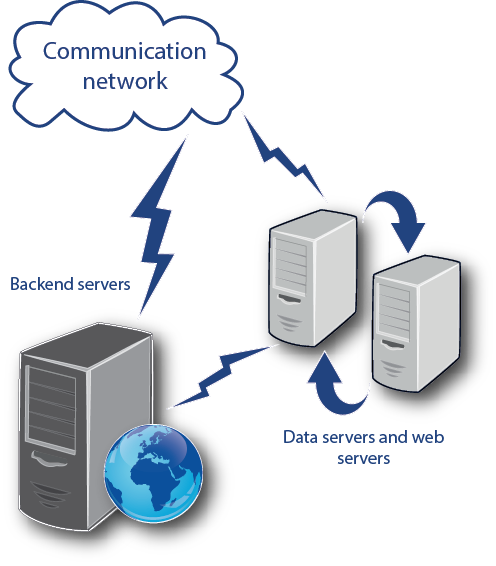 The backend servers receive data and send it to data servers. They also carry orders to the AVL devices. Data servers process the information received and store it in different databases. They can also treat data cleaning (removing if the legal period is outdated). Finally, web servers manage the mapping modules, they treat the access rights and user settings, and restore the information to users.